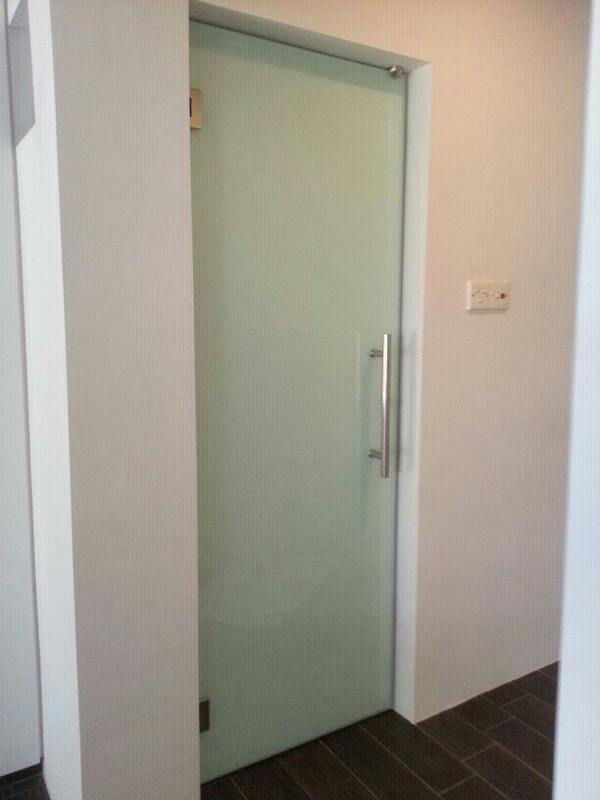 Our laminated glass door made from two or more sheets of glass bonded together with a flexible interlayer. The high strength and unique design of laminated glass prevents it from shattering into large shards when broken. In the event of breaking, the glass is held in place by the vinyl interlayer and forms a web-like pattern. The interlayer does not impact the transparency of the glass but will reduce damaging UV rays fading interior furnishings. Laminated glass is your best option for security in the home. It generally takes two blows to break laminated glass with several further blows to create a hole. In contrast, toughened glass can be accessed with a single blow of a hammer. This product has an elegant feel and is completely customizable for your space. It can be found at kitchen, toilet, office and so on. Safety: When laminated glass is attacked by outside force, it hard to be penetrated because PVB film has strong tenacity and can absorb and weaken a mass of striking energy. Even if it’s broken, the splinters will stick to the interlayer and not scatter. Anti-UV: Laminated glass can effectively present UV. The PVB interlayer withstands penetration from impact. Even if the glass cracks, splinters will adhere to the interlayer and not scatter. In comparison with other kinds of glass, laminated glass has much higher strength to resist shock, burglary, burst and bullets. PVB interlayer impedes the transmission of solar heat and reduces cooling loads. PVB interlayer is an effective absorber of sound. Available in Clear, Translucent PVB. Certain of product can choose to use laminated glass which is hinges swing door, hang track sliding door, shower screen and etc. Its depend to customer which type of safety glass they prefer.